A theatre that once had to cut a hole cut through the back of its stage to bring in a staircase for Sunset Boulevard is now welcoming the Royal Ballet to its city for the first time in three decades. 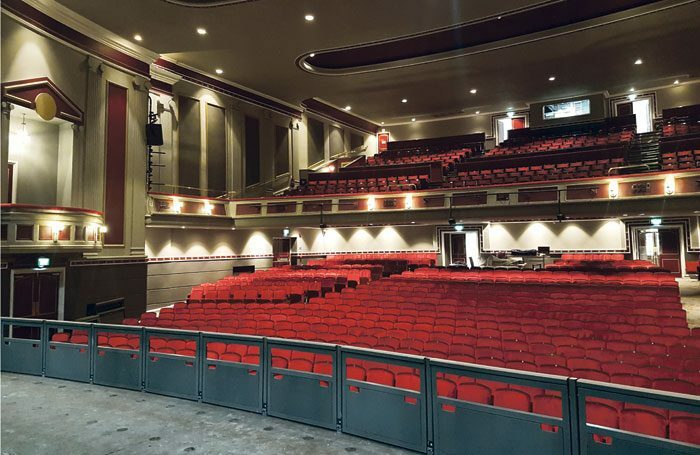 Sixteen years after that unfortunate scenery incident and following a £16 million refurbishment, Hull New Theatre is relaunching as a leading receiving house. Closed for a major refurbishment since January 2016, the theatre has increased audience capacity from 1,159 to 1,330. It will reopen with the Royal Ballet’s Opening the New on September 16, followed by a season featuring the National Theatre and the Royal Shakespeare Company. 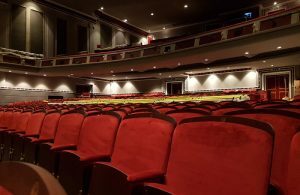 While the venue’s original facade appears unchanged, the interior has been transformed beyond recognition, theatre manager Janice Wincott explains. Walking around the expanded stage, which is three metres wider and two metres deeper, Wincott points out a new loading yard to the side, where lorries can park up and transfer pieces of set to the stage. “The loading for our productions was on the street and up to six lorries at a time had to park there, which was very difficult,” she says. Previously, the stage dock was “not much bigger than a set of double doors”, explains project manager Mark Boothby, from Hull-based construction company Sewell Group, which is overseeing the refurbishment. For other shows such as Chitty Chitty Bang Bang, parts of the set had to be moved on stage via the hatch. “That’s the story that stands out, and actually demonstrates how limited that stage access was,” Wincott adds. Hull New Theatre was built as the Assembly Rooms in 1830 and became a theatre in 1939. It has welcomed many touring productions throughout its history, including Thriller Live and The Wizard of Oz, operating alongside the city’s Hull Truck Theatre, the city’s principal producing house. The grade II-listed main building was added to over the years with various extensions and adjustments. 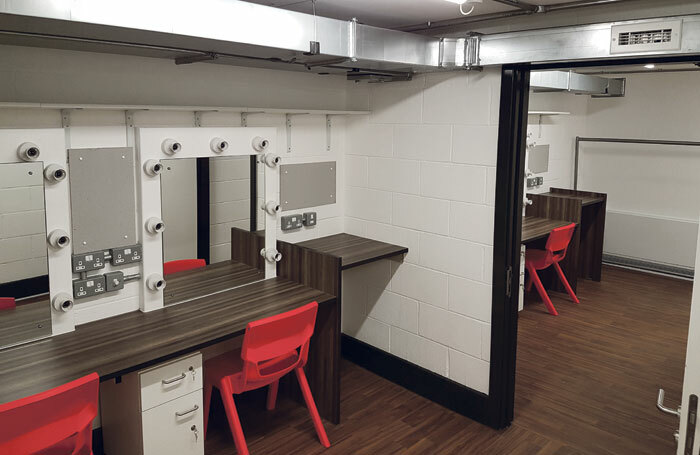 Previously, the building operated across seven different levels, but, following the refit, all the dressing rooms and backstage areas are on one level. “People used to give us feedback that the buildings were ‘very interesting’. It was always a challenge finding your way around,” Wincott says. 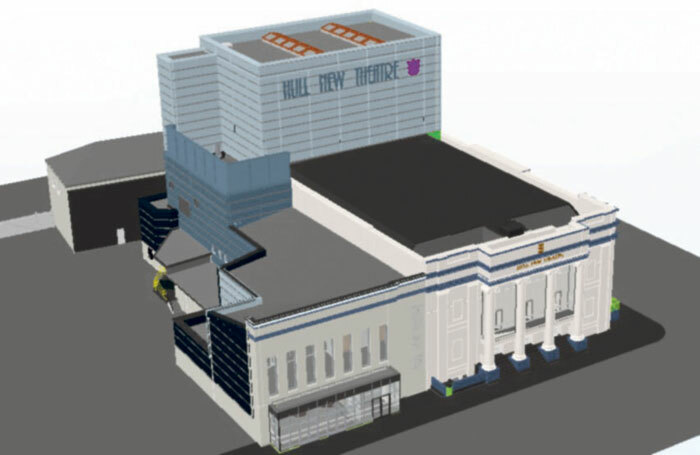 The refurbishment of the theatre, which is owned by Hull City Council, is part of the local authority’s £100 million capital investment programme designed to regenerate the city’s economy as part of City of Culture and secure lasting benefits for the people of Hull and the region. However, Wincott adds that operators Hull Culture and Leisure had always had plans to develop the venue and its programmes. The council contributed £11 million with £5 million from Arts Council England. Realising the ambitious plans for the refit, which included installing a new 27-metre-high flytower and a two-storey extension to the side, was a “logistical challenge”, Boothby admits. Because the original theatre building is grade-II listed, the ornate facade had to be maintained while the other buildings around it were demolished and rebuilt. This involved pumping 80 tonnes of water into containers secured in scaffolding and restraining part of the building before workers removed the existing flytower. This stabilised the existing facade while the new foundations, basement and main structure were constructed, until it could be reattached. The new flytower, which includes 52 lines that can each hold 500kg, has increased the height of the stage by nine metres. “It just opens up a whole new opportunity; we can be more adventurous,” Wincott says. Office blocks to the side of the stage were demolished to create more stage space, and the orchestra pit now benefits from a mechanised listing system – previously it had to be adjusted manually. The stage sound and lighting systems have been completely replaced with the most up-to-date equipment on the market. “The stage engineering and lighting systems cost about £2 million, so there has been a significant adjustment,” Boothby explains. Wincott says: “The technical infrastructure is state-of-the-art, and that’s really attractive to touring companies and producers. Technology changes quickly – the lighting decks below, which were previously analogue, are now digital. 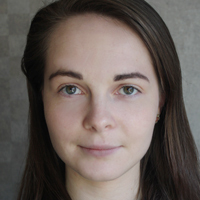 The options for programming those desks are much more exciting,” she adds. Although the auditorium has also been remapped to fit an extra 150 seats, Boothby says: “In actual fact I think the legroom has improved.” The number of wheelchair spaces has doubled from six near the back of the auditorium to 12 spread around the space. Continuing the tour, Wincott proudly displays a new foyer space inside the two-storey extension built on to the side of the theatre. The foyer’s large bar will serve food and drink and is available for private hire. On the floor above the foyer is a large, bright, multipurpose room, where theatre companies will be able to hold workshops and masterclasses. The new extension was formerly a fire station, which was still operating while the old flytower was demolished and rebuilt. “We had to make sure it was clear out the front, as they had their response times to meet,” Boothby says. Walking around the building, Wincott explains how the number of dressing rooms has increased from 13 to 16, including a wheelchair-accessible space. Another multipurpose room can be used as a dressing space for up to 60 people. The number of toilets in the building has also increased: there are now 36 women’s loos compared with 12 previously, which Wincott says was a “conscious decision”. The interior design of the building has also been entirely reworked. Architect Space replaced the previous lilac theme with a rich maroon colour throughout in a style Boothby calls “industrial glam”. Reflecting on Hull City of Culture 2017, the theatre manager believes the buzz created around the arts will drive audiences to the venue.